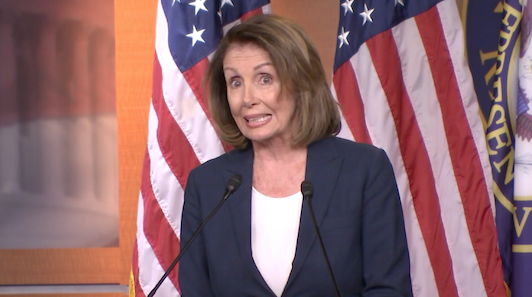 Pelosi’s call to fight back isn’t as offensive as the majority of the clip, where she is lying through her teeth! The woman who said we have to pass the law so you can see whats in the law, and rammed said law (obamacare) through in the middle of the night on Christmas Eve 2009, just said the democrats were totally transparent when they held super majority during obama’s reign and don’t pass bills in the middle of the night! “We are not them we do not act the way they [GOP] do,” is correct because the GOP doesn’t lie incessantly, attack people for wearing a hat or shirt they disapprove of, or try to ruin someones life because they have a differing political opinion. The democrats lie to our faces, vow to impeach Pres Trump, VP Pence and Justice Kavanaugh while reversing everything Trump has done if they get majority power again. Is this what you want running the country for the next 2 years America?